Summit one of the most miraculous peaks in the Himalayas. A trip of a lifetime to the top of the world! 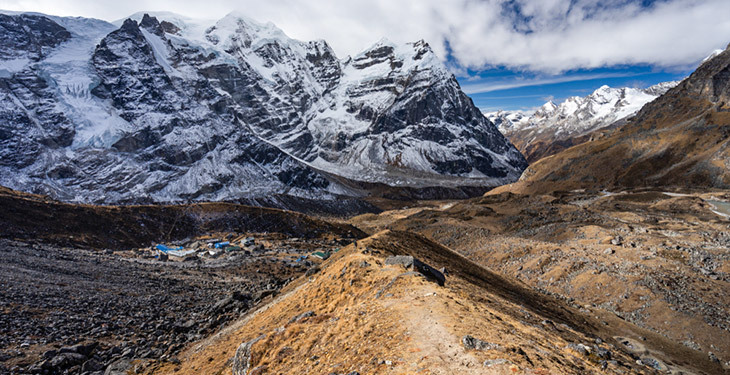 This rewarding 19-day trek provides glorious views of Nepal, taking you through beautiful forested hillsides and over several passes, before climbing up to the summit of Mera La. 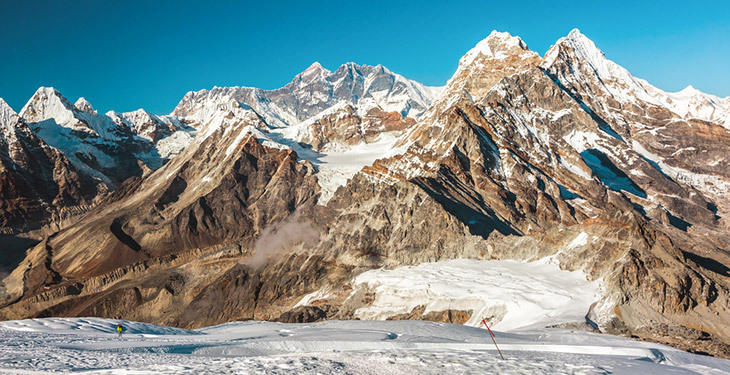 Once you reach the top you'll find an unforgettable panorama of many of the world’s highest peaks including Kangchenjunga, Makalu, Everest, and Lhotse. This Mera Expedition is a high-altitude trek and climb. Participants need to be fit and familiar with the use of an ice axe and crampons, though additional instructions will be available at the base camp near the base of Mera La if required. With favorable conditions, it's possible for a fit party to reach the summit and return to Khare in one day. The climb itself takes the north face glacier in a steady rise to the summit ridge which leads exposed to the top. After reaching the summit, the tour returns through a direct route across a dramatic ridge to Lukla and back to Kathmandu for your flight home. A tour representative will greet you at Tribhuvan International airport in Kathmandu and will be displaying an “Ace the Himalaya” sign outside the airport terminal. They will transfer you to your hotel in a private vehicle. Note: Depending upon your arrival time, there will be a pre-trek meeting on either Day 1 or 2. During the meeting you'll be introduced to your trek leader/guide. This is a great opportunity to ask any questions you have about the trek. Ace will also supply you with a trek duffel bag and cap. For the meeting, please make sure you bring your passport, three copies of passport-size photos, and a readable copy of your travel insurance policy. You'll be asked to sign a legally binding trip form as well as a non-liability disclaimer. After breakfast, your sightseeing trip will start at 8:30 am. A private vehicle and professional tour guide will take you to Boudhanath Stupa, one of the biggest Buddhist shrines in the world, where you can observe Buddhist monks praying in the monasteries surrounding the stupa. Next you'll visit Pashupatinath, the most famous Hindu temple in the country, located on the banks of the holy Bagmati River. Here you'll see Hindu holy men (sadhus) meditating, pilgrims bathing and occasionally funeral pyres burning on the ghats. 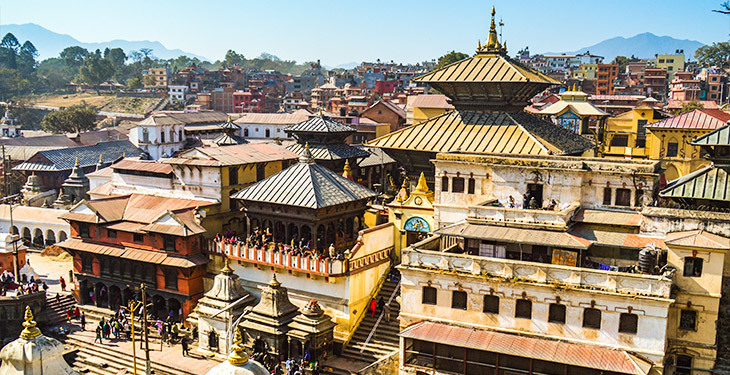 You'll also visit Bhaktapur Durbar Square, a collection of pagoda and shikhara-style temples grouped around a 55-window palace of brick and wood. 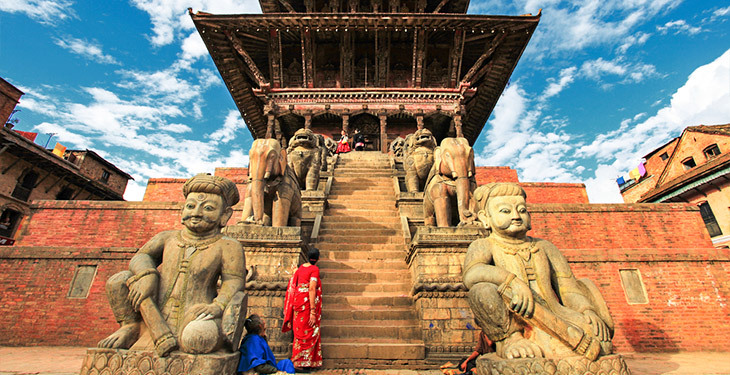 The main attractions of Bhaktapur Durbar Square are the Lion Gate, the Golden Gate, the Palace of 55 Windows, art galleries, and the Statue of King Bhupatindra Malla. The rest of your time in Kathmandu is free for further exploration and some last minute shopping in the Thamel area near your hotel. An early morning start will take you to Tribhuvan Airport in Kathmandu for the 35-minute scenic flight to the Tenzing-Hillary Airport in Lukla, situated at 9,199 feet. On arrival at the airport, your guide will brief you and introduce you to your porters before the trek begins up to the Chutok La pass at 9,662 feet. Today's trek has a series of ups and downs through forested areas until reaching Col Khari La, and then descends to Bupsa. From here the trail climbs to a large white house at the top of Kharte, then climbs and turns southeast up the broad Khari Khola Valley. The trail gradually gains elevation up the forested valley, passing isolated Sherpa houses and small streams, to the village of Pangkongma. Today you'll embark on a magnificent route through mountain crests and wild, rocky landscapes, enjoying the splendid panorama of wooded regions down below. At the end of today's hike you'll reach Kurke and stay the evening. Today you'll descend several hillsides, through meadows and forests of Himalayan blue pines and rhododendrons. Along the way you'll have beautiful views of the south side of Mera Peak. Climb up the Hinku Valley through summer pastures near Lungsamba, which is a narrow spot in the valley between the Kusum Kangru (20,896 ft) and the west summit of Mera Peak (20,522 ft). Spend a day in Tangnag in order to acclimatize and adjust to the higher altitude. After proper rest you can explore other adventure possibilities, such as exploring Sabal Tsho, a beautiful moraine-dammed lake that lays hidden behind the Sabal Glacier. You could also explore Hinku Nup Glacier which leads north toward Kangtaiga. The trail goes through the Thangnak meadow amidst rock debris due to the crumbling of the moraine near the south side of the lake in 1999. It then climbs steeply up to the stream bed and emerges on the wide grassy basin of Dig Kharka. Superb views of the northern face of the Mera Peak can be seen from camp. As your group progresses along the snowy glacier, you'll approach the pass where the slope steepens. This is one of the best parts of the trek. You'll get stunning panoramas of giant mountains rising above 22,966 feet, among the highest on earth: Chamlang (23,917 ft), Makalu (27,805 ft) and Baruntse (23,688 ft) to the east, and Everest (29,029 ft), Lhotse (27,890 ft) and Nuptse to the north. Continuing westward, the peaks of Ama Dablam, Cho Oyo, and Kantega fill the landscape. You'll begin early in the morning depending on weather conditions. From high camp, the route leads southwest through a broad comb on the left of the steep slopes. It then reaches a pass at the bottom of a final steep slope. From the summit you'll have a spectacular view of at least five of the world’s 14 peaks above 26,000 feet! Finally, you'll descend down and return to Khare. This day in the itinerary is set aside as an extra day. The weather on these mountain peaks changes frequently and can't always be predicted. In case of extremely bad weather on Day 12, you can summit the peak on this day. If the weather holds and you are able to summit the peak on Day 12, you can use this day to rest and relax anywhere on the trail until you reach Lukla. Please note that since the flight from Lukla to Kathmandu is pre-booked, immediate changes may not be possible, especially during peak seasons. Leaving the mountains behind you, you'll begin the descent through Tangnag before continuing back to Khothey. You'll continue your downward trek through the valley and spend the evening at Thuli Kharka. 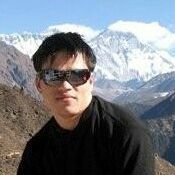 Finally, you'll return to Lukla where the trek began. You'll have time to reflect on your experience and further explore the town. You'll take a brief, 35-minute flight back to Kathmandu, enjoying one last glimpse of the mountain peaks you just visited. Upon arrival in Kathmandu, you'll be transferred back to the same hotel you first stayed in. Today you'll have time to relax and further explore Kathmandu. In the evening you'll be treated to a farewell dinner in a traditional Nepalese restaurant with cultural performances (your guide and an office staff member will accompany you). A representative from Ace the Himalaya will drop you off at Kathmandu's Tribhuvan International Airport for your flight departure from Nepal. This is our corner of the world. We know it intimately. We love it passionately, so much so that we want to share it with kindred souls. We are proud to showcase the Himalayas to the world and take your journey beyond the ordinary. Come and experience the difference with us! Prem K. Khatry founded Ace the Himalaya in early 2007, after working many years as a freelance tour/trekking leader with different adventure companies. Having several experiences in trekking and expeditions with Ace the Himalaya, Kathleen Serra joined the team in February 2008 by establishing an authorized sales office in Melbourne, Australia. Their vast network enables adventure travelers to enjoy real holidays in the Himalayan region of Nepal, Bhutan, and Tibet that are economically, socially, and environmentally responsible. The goal is to provide first-class adventure tourism while generating a fairer income for the local community. I wish to congratulate Ace the Himalaya on organizing the most memorable trek of a lifetime and I wish to particularly thank Pasang Dawa Sherpa, the most amazing trekking guide I have ever trekked with. I found Pasang to be humble, caring and extremely knowledgeable and I would certainly seek him out to be my guide for my next Himalayan adventure. Thank you Ace and Pasang. First class service from Ace. Everything was well organized and ran smoothly. Our guide Dipak Dahal did a wonderful job of looking after a fairly large and somewhat disparate group. We always knew what the next section would involve and what we needed. When one of our group members succumbed to altitude sickness and needed helicopter evacuation, it was handled smoothly and without fuss. The head office support was great. Every query was promptly answered and requests responded to. Thoroughly recommend Ace the Himalaya for treks. You will be safe and well looked after. This trip exceeded all expectations and made me fall in love with Nepal! I highly recommend booking a trip with Ace the Himalaya. Our tour guide in the mountains, Krish, was knowledgeable and a pleasure to trek with! Krish was patient when we wanted to stop and look at animals and he took lots of pictures for our group. His tales of Nepalese culture and food really made this trip special. Krish had a unique ability to be attentive without imposing. Additionally, his ETAs for each hike were accurate. Yes, all trips are guaranteed to run. There is a minimum of two participants required for the tour, however, Ace the Himalaya will never cancel the trip due to not having enough participants; they can arrange the trip for one person as well as a private trip at very minimal additional cost. However, please do not make travel arrangements until you receive booking confirmation from Ace the Himalaya. Are there any other conditions that might prevent the trip from running? In the very unlikely event of natural disaster, the trip may have to be rescheduled or cancelled. 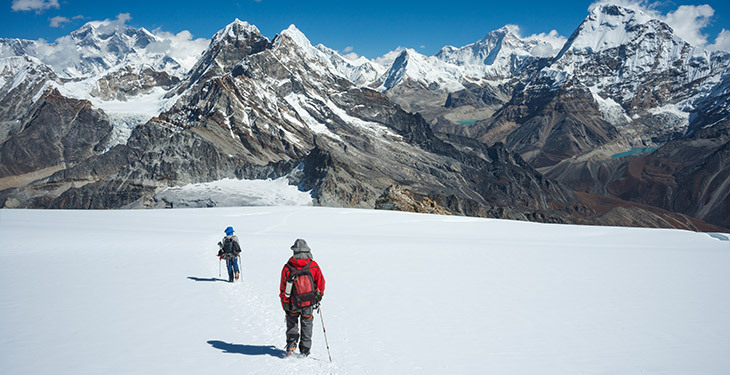 To prepare for a strenuous trek like this you should begin training at least two to three months before your departure. As a guideline, an hour of aerobic exercise three to four times per week would be considered a minimum requirement. The best preparation is hiking involving relatively steep ascents and descents. If you can manage a couple of valley floor to ridgeline ascents per day you'll be able to enjoy the trek to the fullest. Whilst on the trek, it is common to experience some discomfort before being fully acclimatized. The trek along the three high elevation passes is a little challenging due to high altitude and changing weather conditions. Especially in the months of November to January, there is high probability of heavy snowfalls and you should be prepared for such unpredictable weather challenges. If you have any pre-existing medical conditions which might affect your trip, you should make these known to your tour leader and Ace the Himalaya at the time of your booking. It is also a good idea to talk to your doctor about any recommended vaccines before traveling. February, March, April, May, October, and November are the best times to do this trek. The trekking season extends from mid-September to May. Starting in early September, the monsoonal rains decrease. By the end of September to December, the weather is usually stable with mild to warm days and cold nights. What is the best way to get to the trip start location in Kathmandu? International flights are available into Kathmandu International Airport from various carriers. Once there, a tour representative will meet you and provide shuttle service. How do I get a Nepal entry visa? You can obtain a visa easily upon your arrival at the Kathmandu airport. A 15-day tourist visa can be obtained for $25. Similarly, 30-day and 90-day tourist visas can be obtained for $40 and $100 respectively. Please bring 2 copies of passport size photos. Do I need any other documents? Please bring a copy of your travel insurance, a copy of your passport and 3 photos (passport size) with you for your trip to Nepal. You'll need photos for permits. You can expect double or twin-style rooms at three-star hotels in Kathmandu, with breakfast included. Along the trekking routes, teahouses/guesthouses generally provide basic clean facilities with a mattress and a quilt or blanket. Ace the Himalaya can also offer sleeping bags if needed (to be returned after the trip) but it is a good idea to always have your own sleeping equipment. The lodges on trekking routes usually provide twin-share rooms, or occasionally a dormitory. When possible, dining will be around a bonfire. In teahouses, food will be prepared in the kitchen, which you should not enter without permission. At Mera Peak High Camp, accommodations will be in a tented camp. The guesthouses are not equipped with a heater or air conditioner. However as it gets colder (above 10,000 ft), they do have the option of heating the dining area by providing a kerosene or metal heater. This service is an additional $1-3 per person and is payable directly to the guesthouse. What are the toilet facilities like in the teahouses/guesthouses? Most of the teahouses at lower altitudes have western style flushing toilets, however in higher elevations you'll find squat toilets made of either a ceramic basin on the ground or a few planks positioned over a hole in the ground. These are always located outside of the room. During camping at the base camp/high camp, a tented toilet will be provided. Transportation to and from destinations vary from domestic flights to vehicular transportation or even rides on mules and yaks. Only those options which enhance your local experience will be provided, while allowing you to travel comfortably and efficiently. Private tourist vehicles are used for sightseeing, city tours and pickups. Depending on the group size, you might also take a car, minibus, van or a 4WD Jeep, which is more maneuverable in traveling along the narrow and bumpy roads of Nepal. For domestic flights (Kathmandu – Lukla – Kathmandu), Ace the Himalaya uses Tara Air, Summit Air, or Sita Air–all popular domestic airlines. In case of cancelled flights due to weather conditions, how do we reach Lukla from Kathmandu and vice versa? First, it's recommended that you wait some time for the weather to clear out. If the weather fails to clear out and flights are not likely to take place then you can opt to take a helicopter charter. This service can be provided if you are willing to pay the extra charges for the heli ride. The cost of the helicopter is payable directly to Ace the Himalaya's Kathmandu office in the event that this service is utilized. US cash or credit cards (Visa Cards, Master Cards, American Express only) are accepted. You'll be given a receipt upon payment so that you may claim the amount from your travel insurance company. The extra charges incurred are approximately $2,500 to $3,000 per helicopter. The helicopter takes 4 to 6 passengers at a time and the cost can be shared among the passengers. The cost must be paid by the passenger, and can later be submitted for reimbursement through your travel insurance company. The tour operator can help you with the necessary documents for a claim. Group sizes are kept small, from 2 to 14 travelers. During the trek, the lodges normally have twin sharing and dormitory style rooms. If they have a private room and it is available, the lodges can provide a private room at no additional cost. In Kathmandu you make book a single room for an additional single supplement fee of $45. Breakfast is included during your stay in Kathmandu. Breakfast, lunch, and dinner are all provided while on the trek. During the trek, Nepali cuisine is widely available, though special meals can be prepared upon request. Snacks, beverages, and bottled water are available at an extra cost. The guesthouses mostly serve vegetarian fare like pasta, tuna bakes, noodles, potatoes, eggs, dhal bhat, bread, soups, fresh vegetables (variety depends on the season) and even some desserts like apple pies, pancakes, and custard. In general, the local Nepali cuisine is excellent, while western-style dishes may be a little different than what you are used to. You'll find a lot of garlic on the menu because it assists with acclimatization. In many larger villages you may find some meat items on the menu. You can always get hot chocolate, tea, and hot lemon drinks, as well as soft drinks, and treats like chocolate and crisps. If you have any dietary restrictions, please notify Ace the Himalaya at the time of booking so they can make appropriate arrangements. How much additional money should I budget? It depends on your spending habits. Generally, in Kathmandu and Pokhara, you can allocate $10 to $15 for a lunch and dinner. $10 to $15 per person a day will be enough to buy bottles of water, chocolates, pay for a hot shower and a few drinks during the trek. 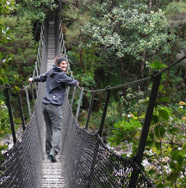 You should also budget for tips to the tour staff including the guide and porters. Can I use credit cards on the trip? In Kathmandu and Pokhara, yes - to some extent. Once you are out of the cities, all you need is cash. Please change your currency to local Nepali Rupees before you go to the mountains. Where do I get drinking water in the mountains? Bottled water is readily available at the lodges and teahouses. You can buy bottled water at a cost of around $2 per liter at lower elevations and $4 at the higher elevations. If you are planning to drink tap water, purifying the water with purification tablets or drops is a must. One can purchase purification tablets or iodine in Kathmandu, Lukla or Namche. Does Ace the Himalaya use yaks and porters on the trek, or will I carry all of my own gear? While on the trek, a porter will take care of your luggage. All you’ll need to carry is a small day bag for your personal belongings (camera, water bottle, sunscreen, etc.). What if I am very sick in the mountains? Your guides are always available for assistance during the trek. They are trained in first aid and the use of oxygen. They are very much aware of the effects of high altitude on travelers and will watch for any signs of trouble to make sure you don't overexert yourself. In cases of severe altitude sickness or other illness you may be sent to recuperate at a lower altitude. Guides carry local SIM cards from both Nepal Telecom and Ncell to keep in contact with the home office in Kathmandu. In an emergency, someone will be available 24 hours a day to arrange evacuations. If I am sick can I continue the trek after a rest day? This will depend on your condition. Severe altitude sickness typically requires 3 days to a week for recovery. If you are on a private or solo trip you can discuss and decide what to do with your guide depending on your health status. For group trips this option is limited, so please make sure you discuss the options to catch up with the group with your guide. Do your guides have trekking guide certificates from the Hotel Management and Tourism Center? Have they received first aid training for high altitude? Yes, they have all received a 45-days training from the Hotel Management and Tourism Center in Nepal. The guides have also received high altitude first aid training from KEEP (Kathmandu Environmental Education Project). Are your climbing guides trained and have they done the Mera Peak previously? Yes, all climbing guides are licensed by the Nepal Mountaineering Association. 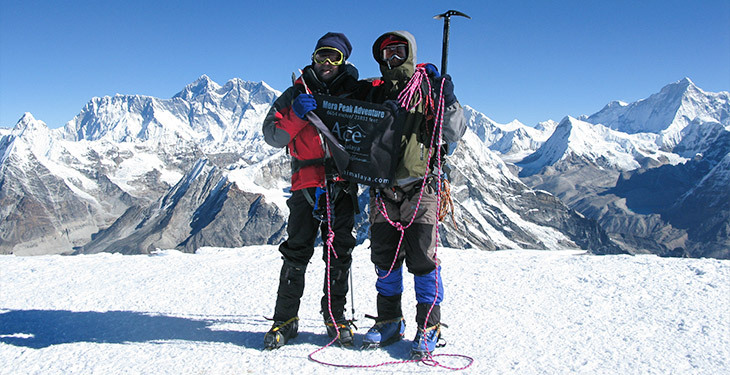 They are experienced in many 19,000 to 23,000-foot peaks and have also been to a few 26,000-foot peaks. Can I make phone calls along the way? There are telephones in some villages along the trekking routes from which you can make international calls. Additionally, all the guides are equipped with mobile and satellite phones in case of emergency. The satellite phones can be used in higher altitudes where there is no cell service. If you want to make an international call, you can do so from the guide’s satellite phone and pay him directly for the international call. Is tipping expected? What is an appropriate amount? This is difficult to gauge. Ace the Himalaya has seen everything from $20 to $1000 per person for guides and porters. Tipping is traditional in this situation, and the small gesture of thanks to your guides and local porters is much appreciated. The level of the tip should reflect the level of satisfaction from and personal involvement with your guide. However, they recommend you plan to spend a minimum of 10% of your total trip cost for tipping the local staff. The ratios for tipping your guide and porter will be given to you at the pre-trip meeting in Kathmandu before starting the trek. Do you require or recommend travel insurance? Travel insurance is required for this trip. You need to have travel insurance that covers high altitude emergency helicopter evacuation up to 16,000 feet, flight delay or cancellation coverage and medical evacuation coverage. Travel insurance also allows you to seek reimbursement if you are forced to cancel your trip for unforeseeable reasons, or if you need to cover theft or accidental damage while traveling. For travel insurance, we recommend World Nomads. Book confidently with Free Cancellations within 72 hours of booking. After 72 hours, cancellation fees will apply. Cancellations are subject to the full discretion of Ace the Himalaya. For more information on our Travel Cancellation Policy please Click Here.